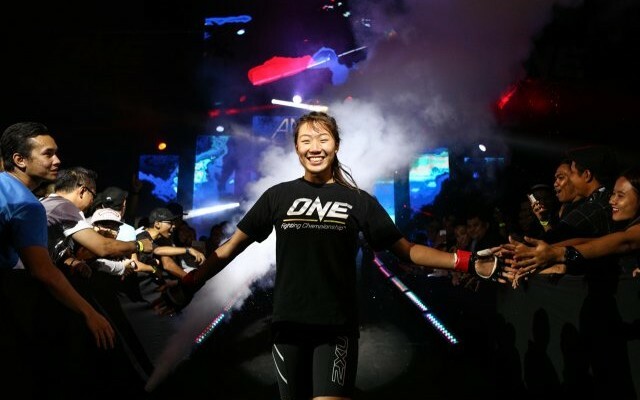 This past weekend Angela Lee fought Egyptian Top Team fighter, Mona Samir. Angela came out with a win via Rear Naked Choke in the first round! Congratulations to Angela, its awesome to see locals who put in so much hard work and dedication into their craft. Big ups Angela, your future is looking bright & Hawaii is proud of you. Continue to follow your passion, continue to inspire & represent for Hawaii. After getting off to a slow start this past Saturday night, the University of Hawaii football team improved to 2-1 in 2015 with a 47-27 win over the Aggies of U.C. Davis. University of Hawaii quarterback Max Wittek threw for 272 yards and two touchdowns, with no interceptions. Junior running back Paul Harris rushed for 147 yards, including a 95-yard touchdown run in the middle of the third quarter, setting a new University of Hawaii school record. Hawaii Elite MMA Fighter & Team Defend Hawaii representative Zane Kamaka is gearing up for his next big fight against Belal Muhammad @ Titan FC 35 in Clark County Fairgrounds Event Center, Ridgefield, Washington, United States. Zane has been building a lot of momentum in the Hawaii MMA Scene and it’s his time to shine and represent for the 808. Check out the video below by MMA Interviews covering Zane and his thought on his upcoming Titan FC Debut. The Official Capones Productions After Party for the “Doin Time” Tour will be at Tsukijis Night Club at Ala Moana Shopping Center. Honolulu Fail… I meant Rail. Honolulu will likely have to push back the opening of its full 20-mile commuter rail line by at least a year due construction delays and changes in how the project will be built. The elevated rail line could also cost up to $200 million more than currently projected, which would push its growing shortfall to more than $1 billion. 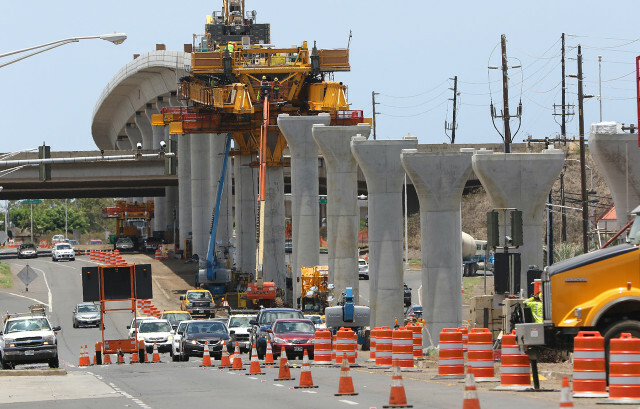 Officials from the Honolulu Authority for Rapid Transportation revealed those details in a Monday letter to Mayor Kirk Caldwell and City Council Chairman Ernie Martin that provided an update on the $6 billion rail project. Check out more from this article brought to you by Civil Beat. An ‘ahu that was built along the Mauna Kea summit road has been bulldozed by a Mauna Kea Support Services (MKSS) employee. MKSS is a service organization that operates under the direction of the Office of Mauna Kea Management, but officials say the employee was not specifically authorized or asked to remove the structure. Officials say the employee bulldozed the ‘ahu to gain access to a pile of rocks and gravel needed to shore up a potentially eroding road following heavy rainfall on the mountain sometime before August 25, though they don’t have an exact date. “This is blatant destruction of a religious artifact, of really a shrine — a temple. To me, not only is it insensitive — it’s a hate crime,” said Lakea Trask, one of a handful of Aloha Aina advocates who has spent the last 173 days on Mauna Kea in protest of the Thirty Meter Telescope project. The stone altar was erected by protestors who say they’re standing in protection of the mountain as a sacred Native Hawaiian place. They say they discovered the ‘ahu was bulldozed on Sunday when they went up to pray. “Now we can’t even pray. Everybody else can pray in this land, but we cannot pray as kanaka. That’s not right, brah. This is wrong and whoever did this is going to answer for this,” said JoJo Henderson in a video posted by Na’au News Now to Facebook on Sunday. “They dismantled our altar without the right protocol, without even having a cultural person there to walk them through it the right way — they just grabbed the bulldozer and tossed it off to the side. So yeah, it’s very hurtful,” Henderson told Hawaii News Now. The ‘ahu was built off the road along a wide shoulder area on June 24 — the same day more than 700 people gathered to prevent TMT crews from reaching their construction zone. “The ahu Ka Uakoko once stood here and it represented the resurgence and the rebirth and the strengthening of our culture and our religion and our spirituality and our sovereignty,” Pueo McGuire said in the Na’au News Now clip. Two other ‘ahu were also constructed that day, however they were removed because their placement on the roadway obstructed a lane of traffic. A group who calls themselves Aloha Aina advocates voluntarily removed the ‘ahu when they were given the choice to take it down themselves or have it bulldozed. At that time advocates say they were told the third ‘ahu would be allowed to remain because it did not prohibit access. University of Hawaii officials say the MKSS employee didn’t violate any rules. They reiterated no structure is allowed on Department of Land and Natural Resources’ conservation district property without the necessary permits. However, members of the Kahu Ku Mauna advisory board, which was established by the Mauna Kea Comprehensive Plan, say they are supposed to be consulted on all Hawaiian cultural matters affecting the area under UH’s management. “There’s cultural protocols that need to be put into effect. There’s administrative protocols and they’re not following those either. Everytime the chancellor or the president of the university goes out into the community and say that Hawaiian culture ‘means something. It is very important. It is significant’. It obviously is not,” said Tiffnie Kakalia, the Kahu Ku Mauna Vice Chair. “The fact of the matter is the Hawaiian community is not being heard and not being valued, although it is being said that we are,” said Kakalia. As for the employee, officials confirm he still has his job — though it’s unclear if he faces any disciplinary action. DLNR, decided to shoot the arrests they made earlier this morning on film and post it for the public to see. “The Office of Hawaiian Affairs strongly condemns this morning’s arrests on Mauna Kea and again urges the state to cease further enforcement action and arrests until legal questions relating to the Mauna Kea emergency rules are properly resolved. It is our understanding that the individuals were arrested this morning while they were in the act of pule, or prayer. You can also view a live stream from Protector Kuuipomana from her perspective during the arrests. Capones Productions is bringing MARTIN LAWRENCE ON SEPTEMBER 19th at the @blaisdellcenter for his FIRST EVER APPEARANCE IN HAWAII. #?youknowhowwedo? ?#?caponesproductions? ?#?comedyboss? ?#?capone? ?#?martymar? ?#?martinlawrence? ?#?dointimetour? Big Island police are asking for help in finding the spear stolen from the statue of King Kamehameha I in Hilo. The spear was last seen Saturday at Wailoa State Park. The spear was described as being brown in color with some oxidation, with a gold-colored tip. It is roughly six feet long.